news division. The former Reuters newsman starts his new job next month. SABC – which has been criticised for political interference in its news reporting – said in announcing the appointment of Jimi Matthews that it was “committed to restore its credibility”. 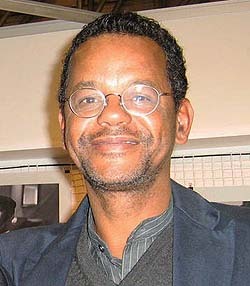 Jimi is one of the most experienced television journalists in South Africa. He worked for Reuters TV before heading the news division at e.tv. In 2002 he switched to become head of TV news at SABC, later becoming head of Sports production at the channel. In 2007 he left to run the news channel that was being launched by Telkom Media.